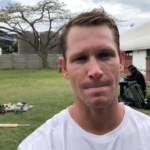 Sarel Erwee of the Dolphins updates us on the start to the 4-Day Franchise Series season and says he is looking forward to the upcoming clash with the Warriors. Suffocating spin bowling gave the Dolphins a 49-run win over the Cape Cobras in the Momentum One-Day Cup semi-final at Newlands. 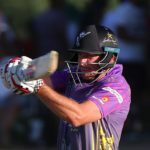 Sarel Erwee’s 84, building on the Dolphins’ great bowling performance, helped crush the Knights by seven wickets in their One-Day Cup match in Durban. 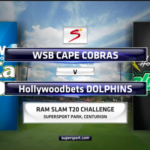 Sarel Erwee’s maiden career-best ton, which helped the Dolphins beat the Cobras by 15 runs (DLS) at SuperSport Park on Sunday, is our Play of the Day. 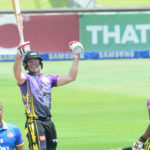 Watch the Dolphins beat the Cobras by 15 runs (DLS) in the first match of a double header at SuperSport Park on Sunday. 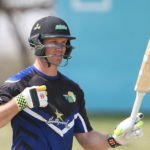 Sarel Erwee smashed a maiden ton as the Dolphins posted 231-2, beating the Cobras by 15 runs (DLS) in the first match of a double header at SuperSport Park. 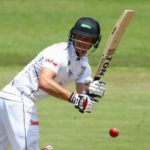 Just 14 wickets went down on day two in the three Sunfoil matches across the country as the batsmen set imposing targets. 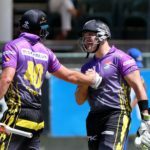 Nduduzo Mfoza’s three-for and Sarel Erwee’s unbeaten half-ton booked a place in the Africa T20 Cup final for KwaZulu Natal Inland. Sarel Erwee’s 41-ball 65 set up a six-wicket win for KwaZulu-Natal Inland to guarantee a semi-final spot. A second-wicket stand of 210 between Sarel Erwee and Khaya Zondo gave the Dolphins a winning target as they beat the Titans by 34 runs on Saturday night.